The Okavango Delta offers some of the most spectacular landscapes that you will ever see, paired with an abundant collection of wildlife. This makes it an ideal location for keen photographers, as almost everywhere you look is another perfect photo opportunity. While photographers can get amazing photographs from the ground, nothing compares to the photo opportunities from above – particularly from a helicopter. We get all kinds of photographers on board our flights, from your average happy snapper to amateur and professional photographers. Everyone is always amazed at the unique sightings that they see from the helicopter as well as how different the landscape looks from above. We always encourage our guests to have their cameras ready before the flight, even if it’s just their mobile phones. Each flight will undoubtedly encounter a few ‘must capture’ scenes. An aerial viewpoint is always amazing, whether it be of a city landscape, mountain range, forest, or desert. It provides a unique perspective that we aren’t normally used to seeing, which makes for amazing photographs. 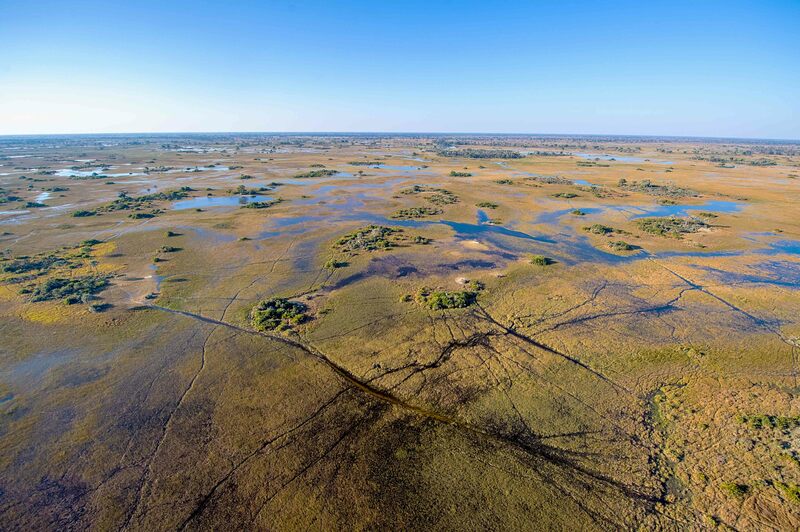 The Okavango Delta, in particular, is absolutely stunning from above. The winding canals and large open lagoons are best experienced from the sky. The crystal-clear water also offers some spectacular photo opportunities of the wildlife. Compared to fixed-wing planes, helicopters are extremely flexible in where they can fly. We are able to fly high when requested, as well as go down really low. Photographers can get some amazing photos of the vast landscape from quite high up, as well as unique angles from quite low down. We are also able to hover and go around in circles to make sure that all photographic angles are covered before moving on from a sighting. It is important to note that our first priority is to not disturb the animals. If we notice that the animals are in anyway interfered by our presence, we will move on. Another highlight of helicopters is that they can land virtually anywhere. They can take you to some of the most remote and otherwise inaccessible areas – places that you definitely won’t get to by driving on land. This means yet another opportunity for unique photographs. 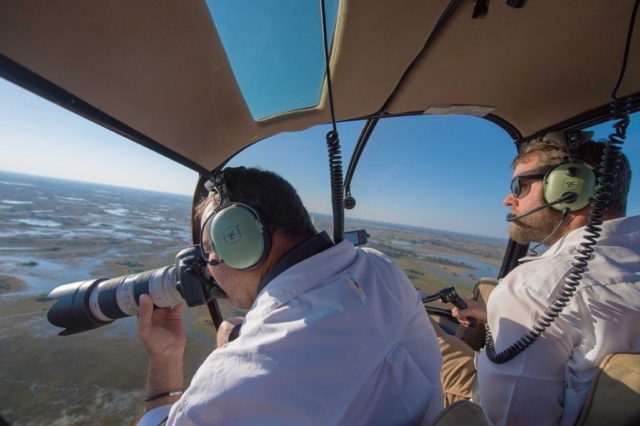 We quite often include a champagne stop on our scenic flight where we will land on a secluded spot and give guests the opportunity to get out of the helicopter and experience the Delta on foot for a bit, with a glass of champers in hand. Guests can either take this as an opportunity to take a break from behind the lens, or as an opportunity for different camera angles. All of our scenic and photography flights are a doors off experience. With the doors off, there is no glass restricting your photographs, meaning crystal clear photographs. It’s a thrilling experience feeling the wind rush past you as you fly through the Delta. Just make sure to keep your valuables safely tucked away, and your camera preferably hung around your neck. Our pilots are highly trained and experienced when it comes to photography safaris. They are flying around the Delta everyday and know all of the good spots to fly over, as well as being superb wildlife spotters. They understand the importance of stability while capturing that perfect photograph, as well as the need for different camera angles. Your pilot will be able to point out the different wildlife that you’ll see along the way, as well as a bit of background information to go with it. It’s also just you (and your group) and the pilot, so you’re welcome to ask as many questions as you’d like along the way. You’ll receive a personalised and exclusive treatment. 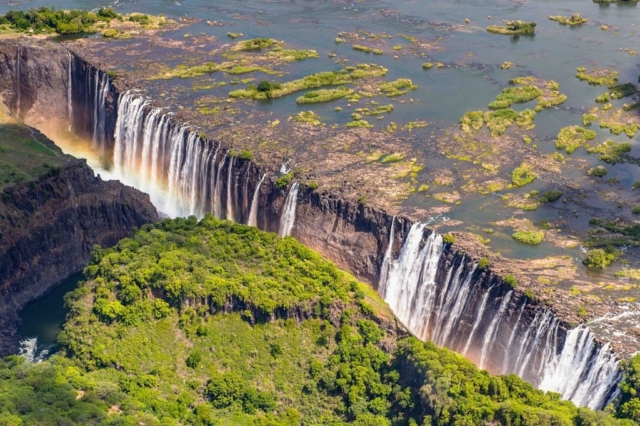 Ready to book that helicopter photography safari yet?